Heinen frames and glazed units are made using the same type of profile as the doors, based on the Metal+ concept. These fixed frames, which may be solid or glazed, have excellent basic performance features. Other performance features can be added on a bespoke basis, depending on the choice of infilling and glazing. All the fixed frames are made to measure and can be easily combined with one another and/or with Heinen doors. It is not always necessary to paint the frame, as the cover plates have an original galvanised finish and do not use welding! The internal frames with a standard finish therefore have an attractive natural steel look. 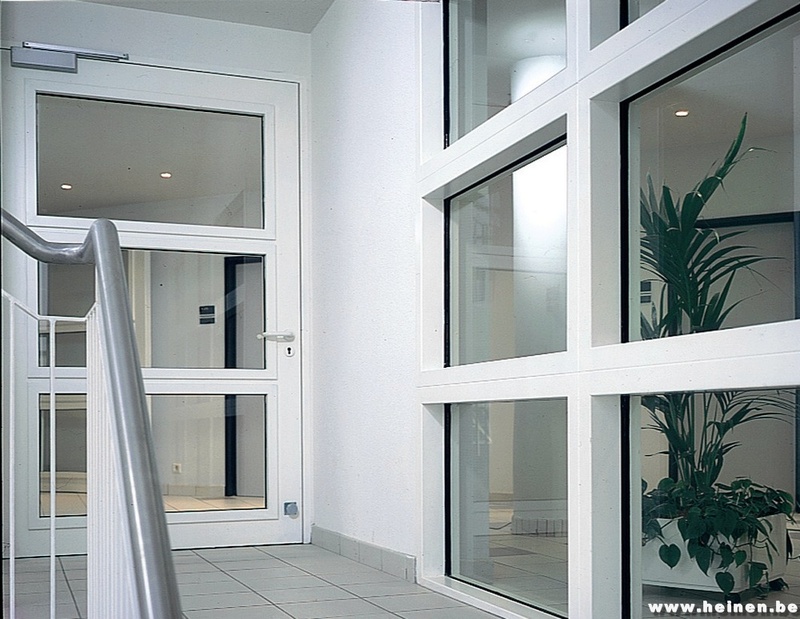 The frames and glazed units are often placed around or near Heinen doors, whether glazed or not. 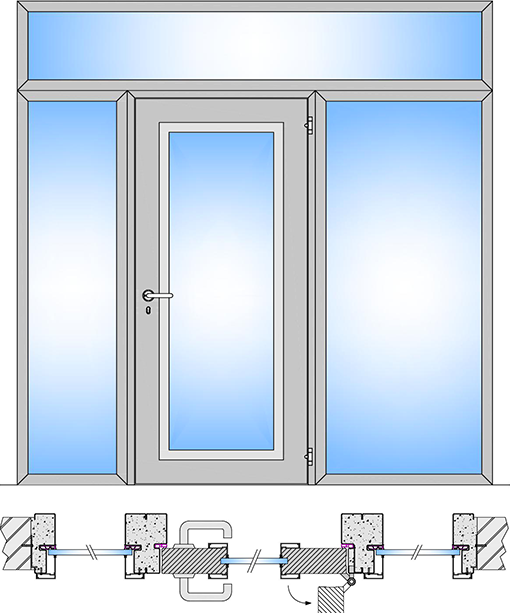 For more information about the dimensions of glazed units that can be integrated into the doors, download the documentation below. Where are Heinen frames and glazed units mainly used? The frames are installed just like the doors, i.e. they are placed in cast concrete or grouting mortar. This system makes it possible to assemble several door and frame elements as a continuous unit. For any specific situations, please contact us! We may already have come across your solution. Thanks to Metal + Inside technology, Heinen frames do not require maintenance and can be easily repaired without having to replace the entire frame, which is a time-consuming task. In fact, as the beading can be removed, the central part of the frame (whether solid or glazed) can easily be replaced if damaged.